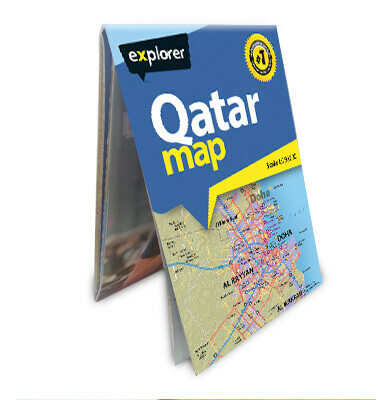 The latest Qatar Map has been created with an innovative, user-friendly soft cover design. Created by an in-house team of expert cartographers, with input from local expats, this the most up-to-date and reliable map on the market. In such an ever-changing country, the map's clear layout and detailed referencing covers all Qatar's main attractions, hospitals, hotels, highways, heritage areas and airports, while the foldaway format makes it incredibly user-friendly. For business travellers, tourists or residents, navigating this dynamic nation has never been easier.